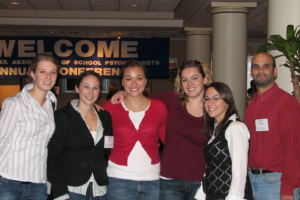 Why Choose Saint Rose for a Master's Degree in School Psychology? With a career in school psychology you will help children and youth succeed academically, socially, and emotionally. School psychologists collaborate with educators, parents, and other professionals to create safe, healthy, and supportive learning environments for all students that strengthen connections between home and school. To find out more about what it means to be a school psychologist visit National Association of School Psychologists (NASP). Our graduate program combines a strong interdisciplinary focus with an emphasis on clinical experience. You will learn hands-on skills through coursework and direct experiences. We use the cooperative learning and case study methods of teaching so that candidates are able to understand how the theoretical approaches being studied can be applied in actual school situations. We foster an atmosphere of collaboration, in which each cohort member want to help the other succeed. Over the last several years, 100% of our students have passed the Praxis II School Psychology Exam, which makes them eligible to become a Nationally Certified School Psychologist (NCSP), a credential accepted by more than 30 states. Consistent with the scientist practitioner model of training, our Program combines a strong theoretical framework with empirically based research to inform candidates’ work with children and families. The framework, merging systems thinking and a dynamic understanding of personality development, provides a template that guides case formulation, decision making and intervention design. Emphasis on child and family strengths, resiliency, and cultural context are cornerstones of our philosophy. We merge seminal works and theories of school psychology with contemporary research and methodology. For example, the national trend towards Multi Tiered Systems of Support (MTSS), which addresses academic performance as well as mental and behavioral health in order to improve educational outcomes for all, weaves through numerous courses. Furthermore, our approach to psychoeducational assessment reflects cutting edge evidenced based practices with emphasis on the Patterns of Strengths and Weaknesses (PSW) approach. Upon graduation from our Program candidates will be able to think critically, optimistically and passionately about what they will bring to the children, families and communities they serve. Candidates will embrace the role of systems change agent, problem solver, and child and family advocate. To prepare candidates to utilize evidence based practice in assessment, consultation and intervention. 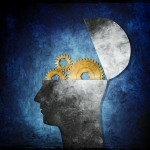 To instill knowledge of human development in cognitive and social emotional arenas from a strength based perspective. To encourage candidates to embrace a systems level approach for case formulation and intervention planning. 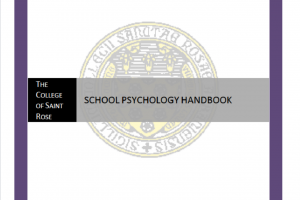 School Psychology is part of Educational Psychology, housed within the School of Education. Our students are full time. Courses are taken primarily in the Spring and Fall semesters, although some courses are required during the Summer Sessions. Review our Handbook for further information. After completing three semesters of course work, candidates receive their Masters in Education. 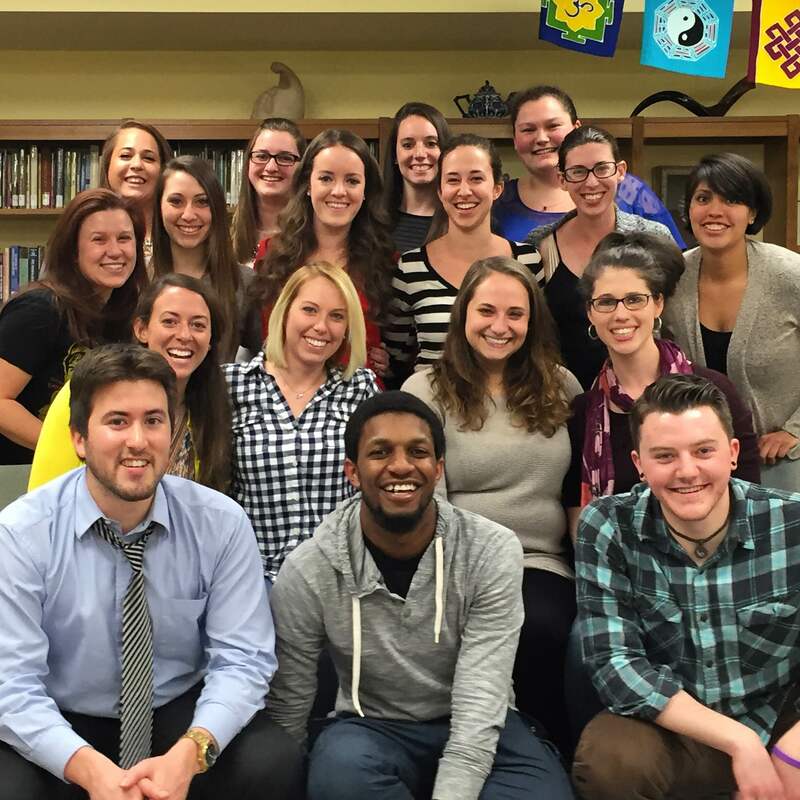 In the Spring of their second year, candidates complete their one semester Practicum. In the third year candidates complete their full time Internship. Upon completing the Internship, candidates receive their Certificate of Advanced Study (CAS) and are eligible for provisional New York State Certification. Passing the Praxis II School Psychology exam allows the candidate to apply for National Certification (NCSP) through NASP. Available as a PDF, read the guide for important information about the history of our program, course requirements, and other general information. School psychologists offer young people help through a crisis or just a quiet place to spend an hour. The nationally accredited master’s degree at Saint Rose thoroughly prepares educators for jobs across the country. Candidates are prepared for careers as certified school psychologists in a variety of settings including public and private schools. Since 2009 U.S. News and World Report has annually stated that the job outlook is one of the strongest and as a career one of the best. 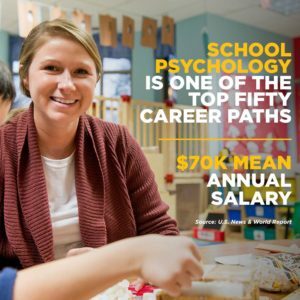 With a mean salary near $70,000 per year, school psychologists earn more than many other social service jobs within the education system. View Gainful Employment information related to this certificate program.